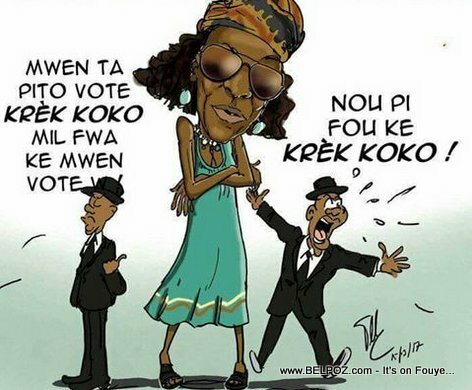 If the Haitian woman known as "Krek Koko" was a star, she is now a superstar after Haitian senator Jean Renel Senatus mentioned her name in the middle of the national assembly to nominate Prime Minister Jack Guy Lafontant. "My only regret," Senator Senatus, alias Zokiki said, "is that Krek Koko is not here with us at the National Assembly." Soon after, the debate inside the Haitian switched from the ratification of a prime minister to whether of not Krek Koko is a superstar of a crazy woman from Petionville. Haitian Politics at its best!